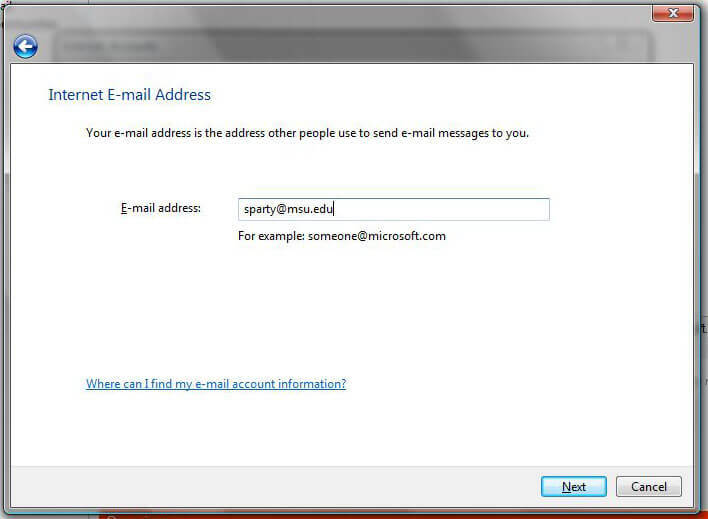 Start Windows Mail. On the "Tools" menu, click "Accounts." In the Internet Accounts dialog box, click "Add". 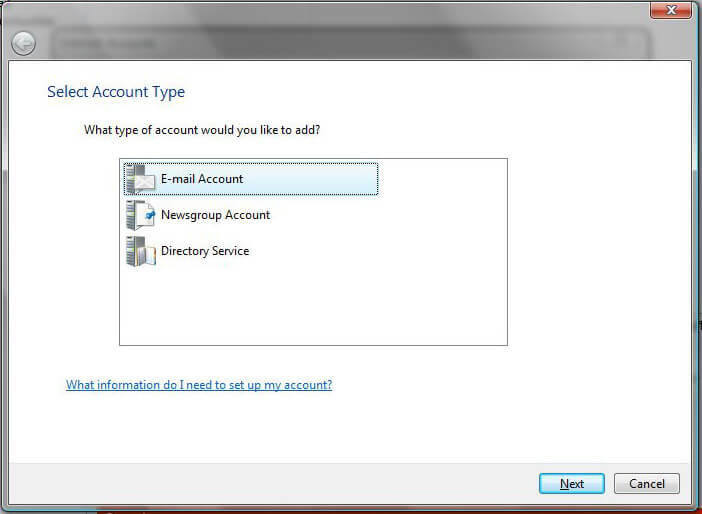 Click "E-mail Account" to create an e-mail account. Then Click "Next". In the "Display Name" box, type the name that you want others to see when you send a message, and then click "Next." 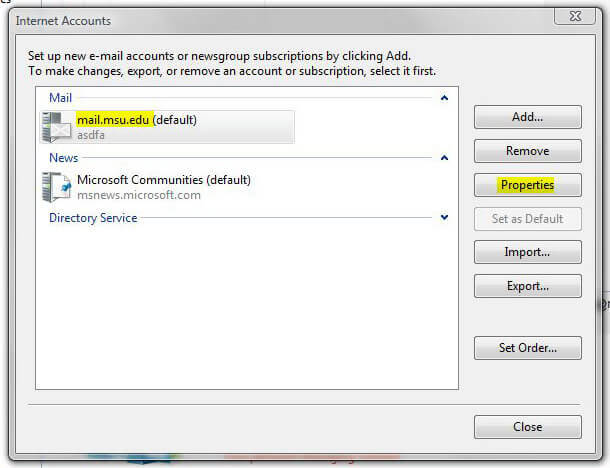 In the "E-mail Address" box, type the E-mail address for the account that you are using (for example, "sparty@msu.edu"), and then click "Next." 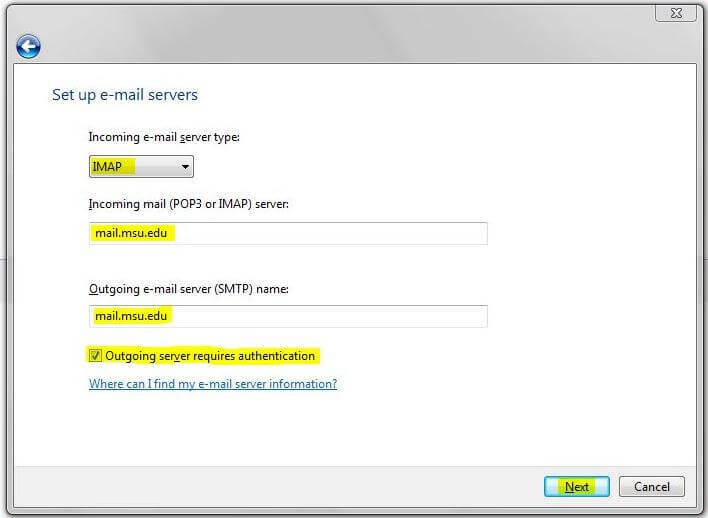 Under "Setup e-mail servers" select IMAP as the incoming e-mail server type, enter mail.msu.edu for BOTH your incoming and outgoing E-mail servers. Check the box for "Outgoing server requires authentication" and then click "Next." 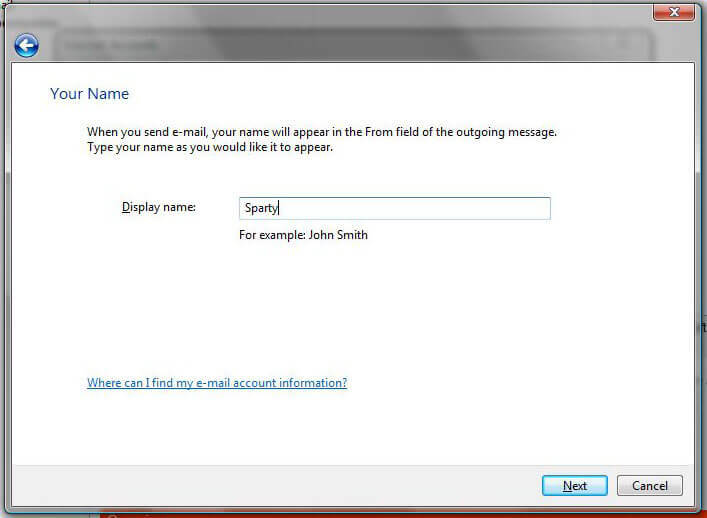 Enter your MSU NetID in the "E-mail username:" text field. Enter your password in the "Password:" text field. 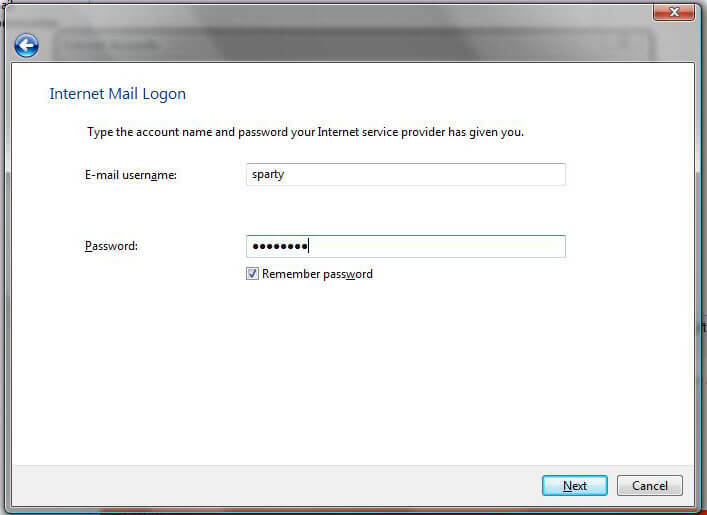 You may check next to "Remember password" if you want Windows Mail to remember your password. Click "Next." Make sure "Do not download my e-mail at this time" is checked then click "Finish." 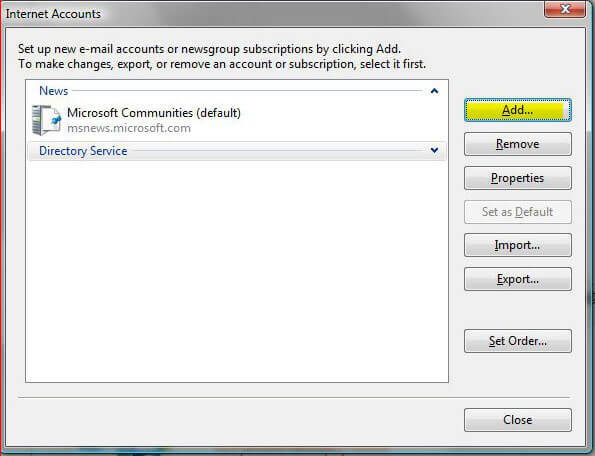 To configure your E-mail, select the mail account and click on the "Properties" button on the right. 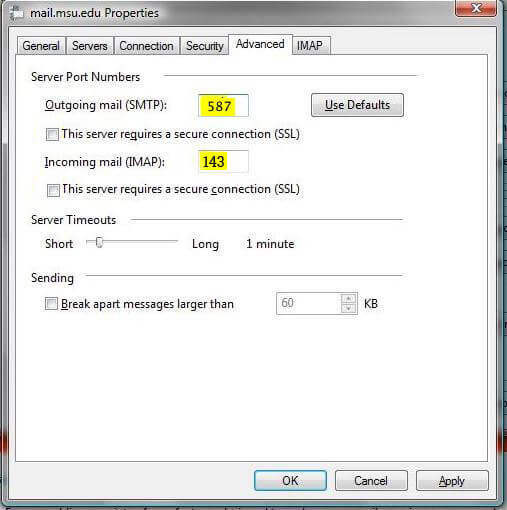 Make sure that you change the "Outgoing Mail (SMTP)" number to 587 and "Incoming Mail (IMAP)" number to 143, as shown in the screenshot below. 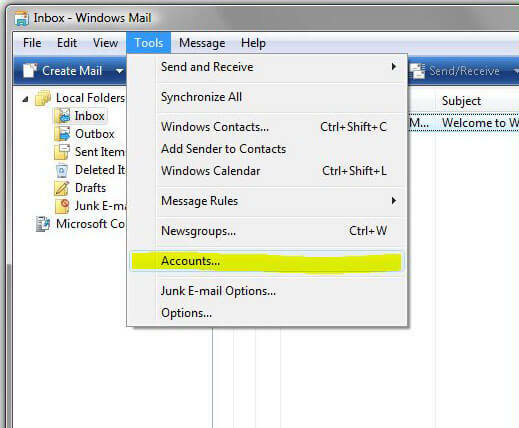 Click "OK" and you should be able to send and receive mail. Click "Yes" to download your folders and e-mail.